This cute 3 bed 1bath bungalow features Old World character with hardwood flooring in living room. Tiled kitchen floors with granite counter and stainless steel appliances. Main floor laundry, tiled shower with double granite vanity, upstairs bedroom (non-conforming) could also be used as a playroom or office. This home also has a security system and surround sound that will stay with the house. The covered front porch makes this the perfect starter home. 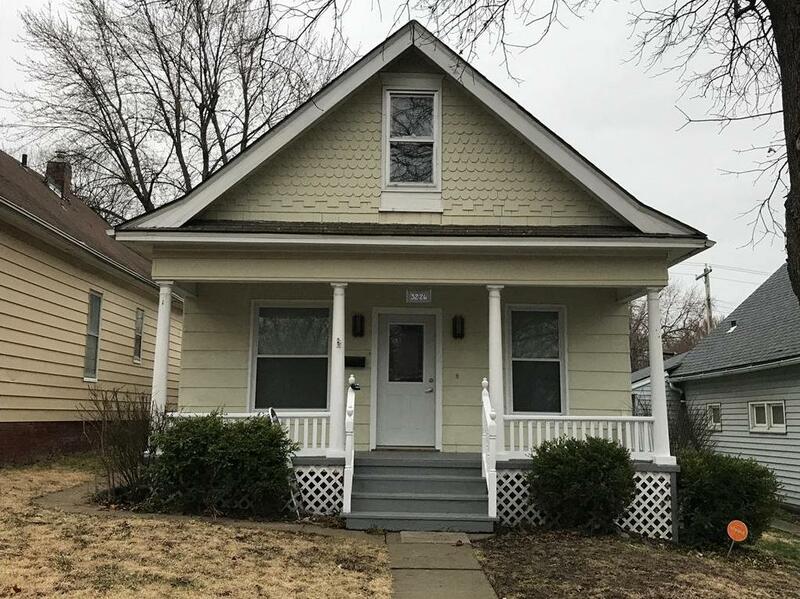 3226 Seneca Street (MLS #2156041) is a traditional single family home located in St Joseph, MO. This single family home is 2,292 sqft with 3 bedrooms and 1 baths. This property was listed on 04/01/2019 and has been priced for sale at $84,900. Listing Last updated 04/01/2019 3:00 PM CDT . Some properties which appear for sale on this web site may subsequently have sold or may no longer be available. Walk Score provided by Walk Score. Mapping data provided by Google and Bing.